Laundry has so many kinds of stains. 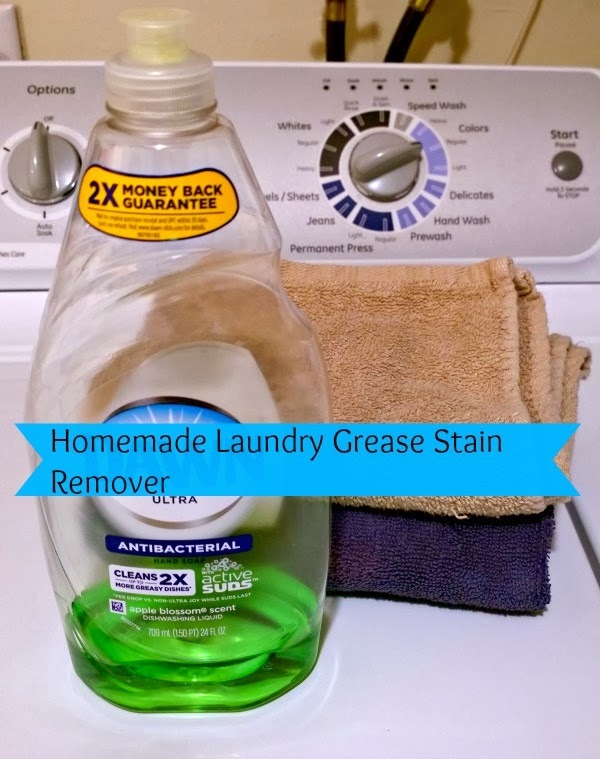 Today, I am sharing my homemade laundry grease stain remover. This tip mainly comes from my hubby. They wear special shirts at work and were told to use this on the grease stains. So I tried it and it works great. That way I can work the stain as I squeeze but any old toothbrush or scrub brush will work. All you need is Dawn dish soap but it must be Dawn. Take a small amount and rub well into the grease stain, the sooner the better. When someone gets a stain on their clothes in the house I always say hurry take that off and let me deal with that stain. Hey, clothes are expensive. Let sit for about 30 minutes. Then take your normal stain remover and spray well over the spot and scrub with an old toothbrush or soft scrub brush. 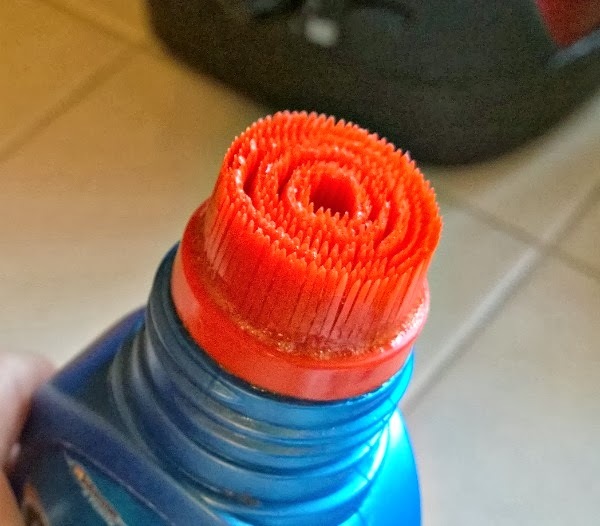 I keep my homemade grease stain remover in an old stain remover bottle with a scrubby top. That way I can work the stain as I squeeze but any old toothbrush or scrub brush will work.Toss in the wash as usual. You can use my recipe for regular homemade laundry stain remover. I bought a bottle of Dawn at the store this past week. I read that it gets rid of fleas! I will use this tip on David's shirts now. Thanks! Great help!! Thank you for sharing!! I use Dawn for spots that have been through the washer and dryer already and it still works. Dawn is an amazing spot remover. I swear by it.